Andrew Somoza brings to his affiliation with SOAR Performance Group a mastery of executive sales skills in driving revenue, profit and brand recognition in established and start-up companies. Andrew has a results-driven track record over 20 years long that has spelt organizational success through strategy, direct sales, business development, and talent development. He is highly analytical and skilled in assessing overall business operations and identifying opportunities for organizational transformation and revenue optimization. Under his leadership as Co-founder and Vice President of Sales at GHX (formerly Vendormate), Andrew directed a start-up company to revenue growth that reached over $18 million in ARR with 100% YoY growth, as well as negotiated profitable contracts with 2,000 hospital and prestigious healthcare provider accounts, all in less than five years. Through his position as Regional Sales Manager at Lancope, Inc., Andrew earned top 5% sales leadership ranking for developing a team that achieved 200% regional growth and 157% of quota. Some of Andrew’s most recent success was achieved through his position as President of uBACK, where Andrew raised $2 million in funding as well as grew non-profit clients from 500 to 800,000 through the creation of a strategic partnership with Charity Navigator. Andrew graduated from the Georgia Institute of Technology with a B.S. in Management and Minor in Economics and Marketing. During his time at Georgia Tech, he was a scholarship student, athlete of the school’s baseball team, and an active member of Phi Delta Theta Fraternity. 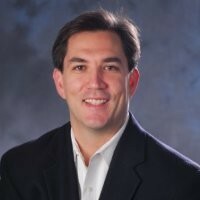 Andrew is a part of the current board of directors/advisors of Georgia Tech’s Alexander-Tharpe Fund, Transcend LLC, QASymphony, and YMCA of Metro Atlanta. Outside of work, he can be found speaking and mentoring at the Georgia Institute of Technology, University of Georgia, Kennesaw State University and Technology Association of Georgia.